My Friday night stream this week consisted of various fluctuating emotions. After receiving code from the developers, I decided to play the very P.T.– like horror game, Dreadful. 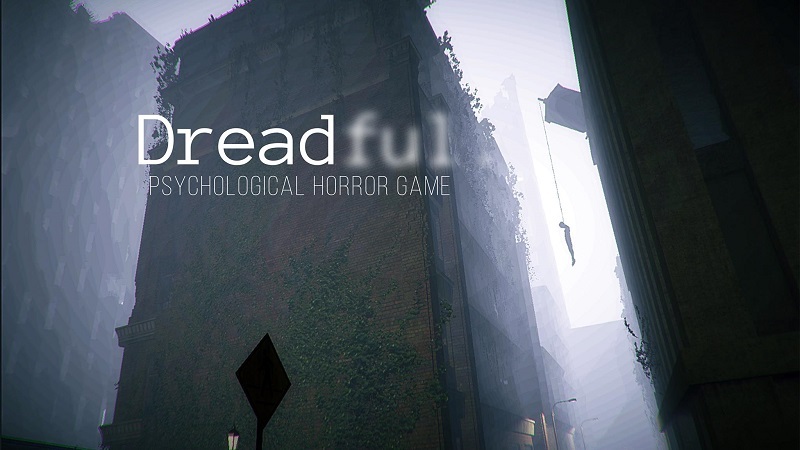 Heavily, heavily inspired by the Silent Hill series, Dreadful is yet another indie horror hoping to capture the essence of Kojima Production’s Silent Hills teaser, but through overt emulation as opposed to being a product of inspiration. Dreadful begins in an apartment belonging to protagonist David Hill. As you come to learn very quickly, this game tries its best to be Silent Hill, so David’s last name is pretty amusing. After speaking on the phone to his awkwardly acted friend Kate, we suddenly end up in a mock version of the P.T. house, complete with similar lighting placements and gameplay loops required to proceed. But on the way there I drove a car in a gray void (but not the Silent Hill kind, just one where nothing loaded in the game world). I was fully prepared for a wonky P.T. clone when I chose to play this game, but I didn’t expect to be physically nauseated. Dreadful, at least at the time of playing as a patch has been issued since, features heavy use of motion blur and head-bob, making movement uncomfortable. Imagine my surprise when I got stuck in this section of the game for roughly 30 minutes. David also moves at a glacial pace. It’s horrendous. From here on out, I’ll refer to this section of Dreadful as T.P. (make your own assumptions what that stands for). After completing a couple of loops in the T.P. house, story bits begin in the form of objects that David can channel memories from. These bits do not accomplish much, though, in the game’s hour-long duration, but we’ll get to that later. There’s a big-bad in the T.P. home, and it’s a woman (named Mary –cough– according to the game’s website…) wearing a hospital gown and a gas mask. When introduced, she shuffles her way around without the ability to see, only able to “feel” David’s presence. David’s phone has to be used to monitor the temperature of his surroundings actively. If it goes below ~4 Celsius, the entity is within insta-death distance. Holding your breath when the red meter on the screen rises is the only way to avoid a very carbon copy Lisa jump scare (as seen in P.T.) from this thing. It took me a few minutes to figure out this mechanic, as when coupled with the dreadful walk speed and motion blur, I wasn’t in the best problem-solving mindset. As my frustration grew by simply looking at this P.T. clone — best described as a hastily-written fan letter transcribed on a wet paper bag — a glorious thing happened. I triggered a cutscene and found myself not only in a new location but also in third-person. The motion blur and input lag were gone! From this point, Dreadful swapped from one era of Silent Hill emulation to another. It wasn’t great, but I was elated to escape the T.P. home. 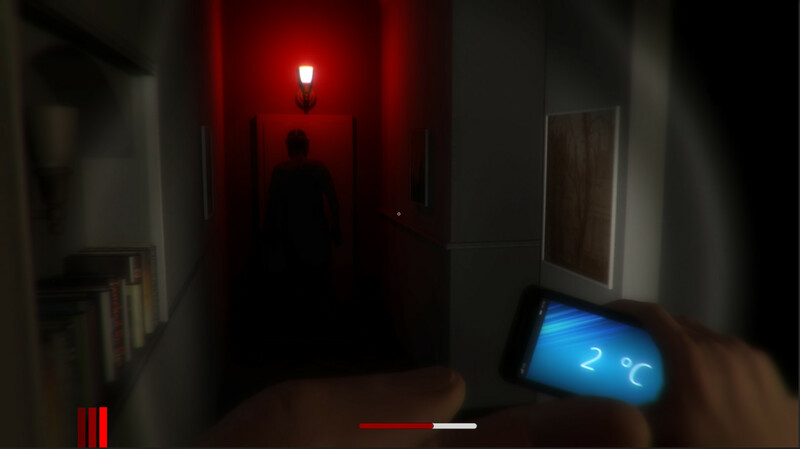 Dreadful instantly became a better game as soon as it moved away from trying to copy P.T. Who‘d have thought? 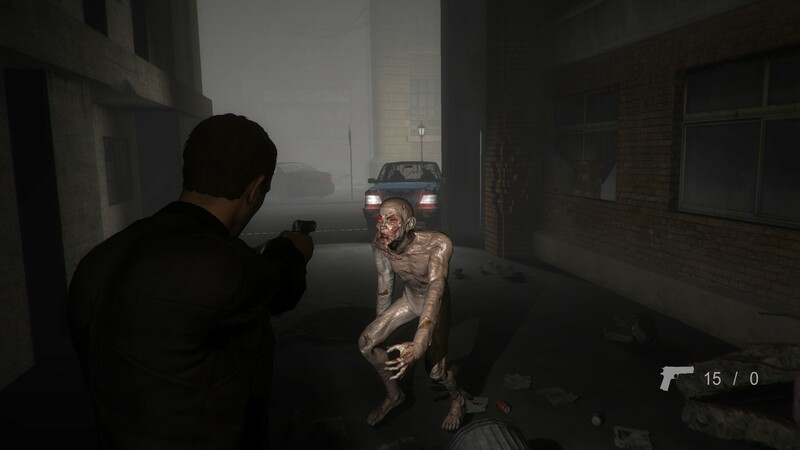 In this part of the game, David gains the ability to use a pistol, which can be used against very frumpy looking monsters with very delicate moobs. The animation work on the creatures, and NPCs overall is surprisingly impressive given the game’s overall jank. If you recall the leaked beta footage of Silent Hill: Origins, when it played more like a third-person shooter and had oddly-scaled environments, Dreadful will absolutely look familiar. The game casts players into a foggy and decrepit town the likes of – you guessed it. A few monsters impede the path toward the linear routes, and some new story bits occur which include strange voices telling David to “enjoy his stay.” Briefly, the first-person perspective is reintroduced, but it’s short-lived. Even so, my framerate suffered greatly in this area, and my PC is nothing to sneeze at with a GTX 1080Ti and i7 7700K on board. The last location in Dreadful hits some familiar beats if you’ve played a survival horror game in the last … ten years or so. David finds himself in a school, complete with a scary little girl because of course. Interestingly, she also dons a gas mask. The intrigue builds! Members of a military unit are suggested to be conducting an experiment of some sort in this town, with David referred to as a subject. 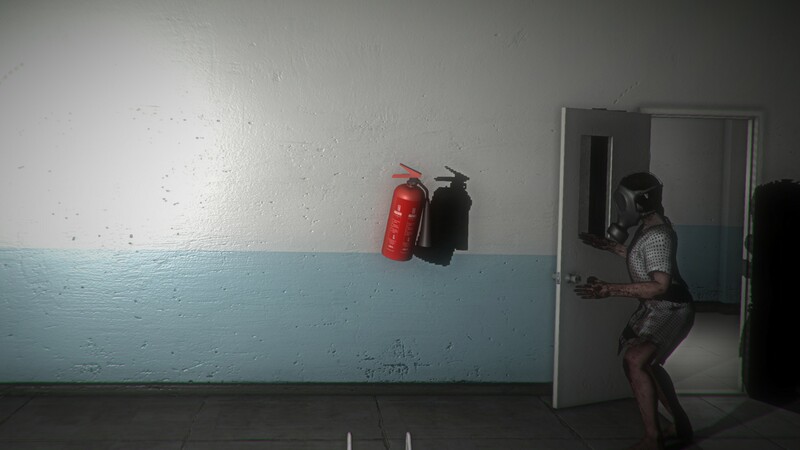 In the process of following the young girl’s suggestions, the Mary entity re-appears to kill a soldier with a fire extinguisher and then pounce on David. This is where the game ends an hour in. Dreadful commits many gaming sins. For starters, it apes P.T. with no shame, finding ways to make the experience even more cumbersome. It’s also a $10 Early Access game that offers less than an hour of clunky content. When it’s not clinging to the dead heels of P.T., it’s emulating the Silent Hill series as closely as it can. It’s also a buggy game where level details don’t load in, you can walk off of the game world, the player sinks into the ground at times, objects clip through walls, and performance struggles even on high-end hardware; it simply released too soon for it to be a purchasable product. With all of that said, what interesting elements the game features show a respectable level of passion. I don’t know how many people worked on this game, but it’s clear that they tried. There are glimpses of a larger story at play, and aspirations to create a horror experience based on games the developer(s) most likely adore and admire. Steam Early Access is their attempt at turning Dreadful into a game that shows their appreciation for the horror genre’s greats, and even though they’ve stumbled, I do wish them luck. Dreadful as it stands at this moment is better off considered a vertical slice — or a concept — of a game that its developers aspire to create. I don’t recommend purchasing it at this time, but Dreadful is absolutely one that I’ll keep an eye on in hopes that its developer accomplishes what it set out to do. You can watch my full playthrough of the game below.